The plight of so many dog parents: pulling on leash. The Brady family is at the end of their rope (pun intended) when it comes to walking Rex, their Wheaten Terrier puppy. The kids want to take Rex for walks on their own, but it’s too dangerous. Beyond the fact that Rex immediately takes off the second they step out the door, he actually pulled Mom to the ground the other day when another dog walked by. What is the dog’s body language? (List what the dog looks and sounds like.) As soon as the leash comes out, Rex sprints to the foyer. His tail is up and wagging — sometimes even in full circles. He shifts his weight left and right almost sort of dancing in place, and he looks to have a big grin across his face. What is going on? Rex is going for a walk. By visiting the Leash Issues page in All About Dogs, we learn about a few different challenges people face when walking their dogs. But Occam’s Razor says that the simplest explanation is often the correct one. So what is the simplest reason to explain why many dogs pull on leash? They have a naturally faster gait than the person they are walking with. Puppy Rex might not yet have learned to hold back his speed so that he can walk politely with the group. But, there’s another option: Rex is upset and is pulling to confront whatever is troubling him. Comparing what Rex looks like, while waiting to get his leash on, to the dogs in the Body Language Gallery, we can see that Rex is one happy pup. He has learned that “leash” predicts “walk,” which is something he loves to do. So far it looks like Rex is a happy fella who enjoys walking. But let’s dig a little further and figure out what’s going on with him pulling Mom to the ground when another dog walked by. Again, we look at Rex’s body language. When he first spots the other dog, Rex’s tail is back up and wagging like mad. 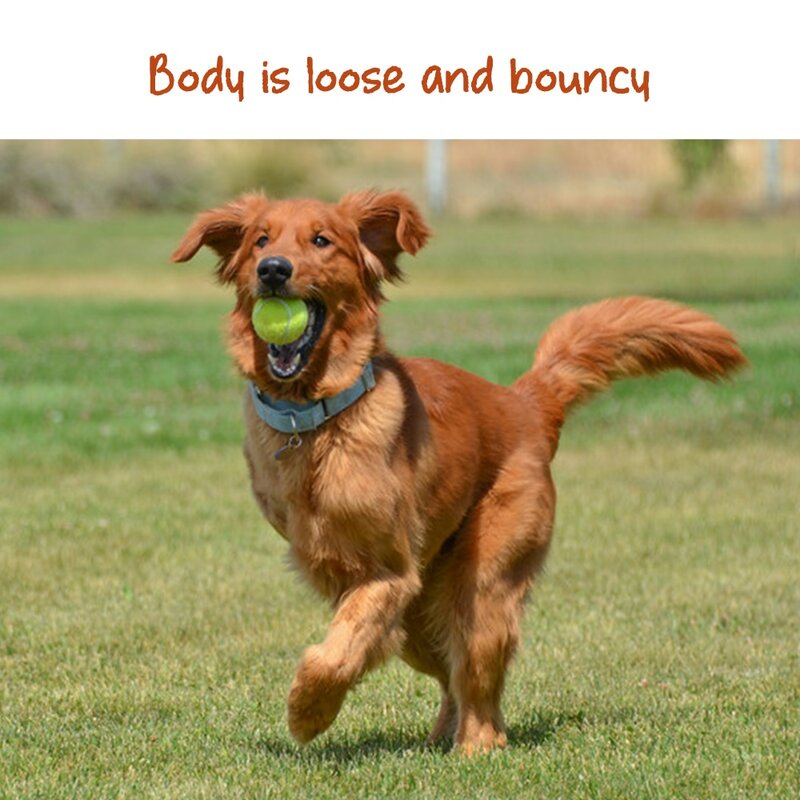 He takes off toward the other pup — running in kind of a bouncy way — and then pauses in front of him: putting his forearms down on the ground and sticking his backside in the air. 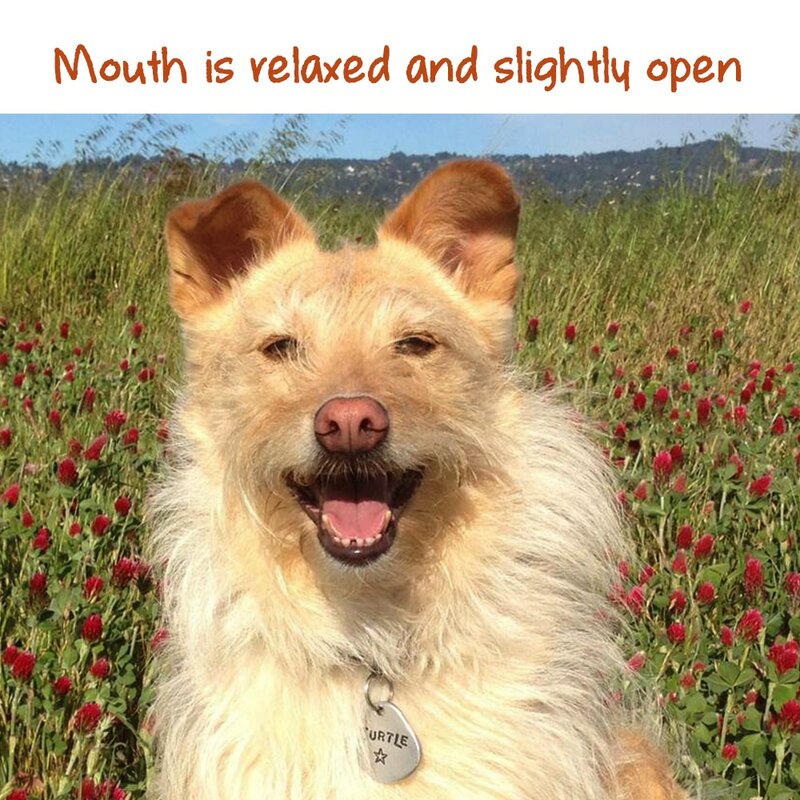 Once more we look at the Body Language Gallery and see that Rex is still showing signs that he’s a happy pup. 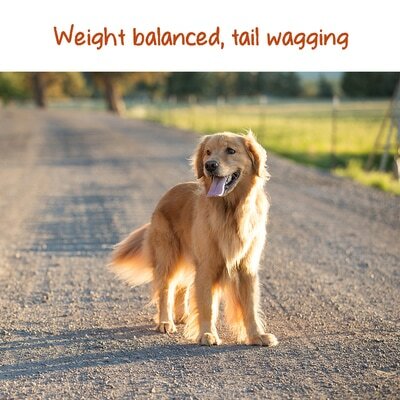 The tail wagging, bouncy gait, play face, and play bow all give it away. He’s going for a walk. All signs point to Rex being a joyful pup who is thrilled to go on walks and wants to play with other dogs. That’s all wonderful news, but it still doesn’t fix the fact that walking him is a difficult task, even for the adults. ​The answer to the problem is simple: Rex needs to learn to stop pulling and instead walk politely with his family — a How Dogs Learn situation if there ever was one. There is a loose-leashing walking video on the Leash Issues page, so be sure to check that out. Also note that there is actually equipment available that helps teach dogs to walk politely. ​The most efficient and humane training devices out there are front-clip harnesses and head halters. Essentially, the dog wants to keep moving forward, but if he pulls, he ends ups turned around facing the other direction. Each time he pulls, he stops being able to do the thing he wants, so he learns to stop pulling. It’s important to note that there are other devices marketed to teach dogs to stop pulling — i.e. choke, prong, and shock collars — that use pain and fear to do it. Aside from the question of whether it’s ever acceptable to use pain and fear to train dogs, these devices can cause “fallout behaviors,” such as aggression to other dogs or to people. Because of this, organizations including the American Veterinary Society of Animal Behavior and the Pet Professional Guild warn against using them.